But whatever he thought of their faces, Morgan came to admire beavers’ industriousness. A lawyer by trade, state senator for New York, and, in his spare time, independent anthropologist and biologist, Morgan arrived in Michigan’s Upper Peninsula in the late 1850s as a director for the Marquette and Ontonagon Railroad. There he spent several years studying the beavers that lived around the area now known as Ishpeming and eventually published a book of his observations, The American Beaver and His Works, in 1868. Inside each copy was a fold-out map of a roughly 50-square-mile chunk of land that showed rail lines, settlements, mines, streams that Morgan fished and the 64 beaver dams and resulting ponds that he studied. Look at that map today, and you might be stunned. Many of the beaver-built structures that Morgan mapped out are still standing. 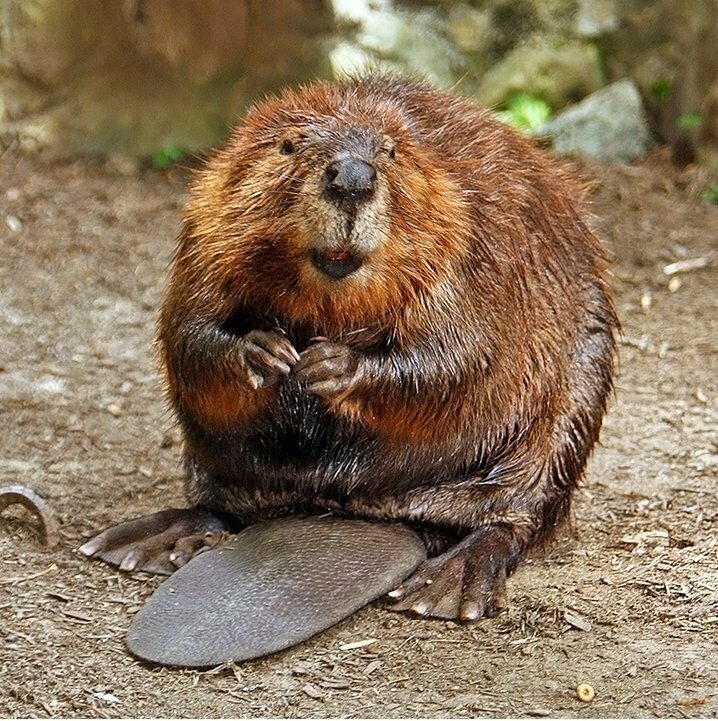 By the time Morgan arrived in Michigan, the North American beaver was wiped out in many parts of the U.S. by overhunting, and only started to recover and and recolonize its former range in the early 20th century. 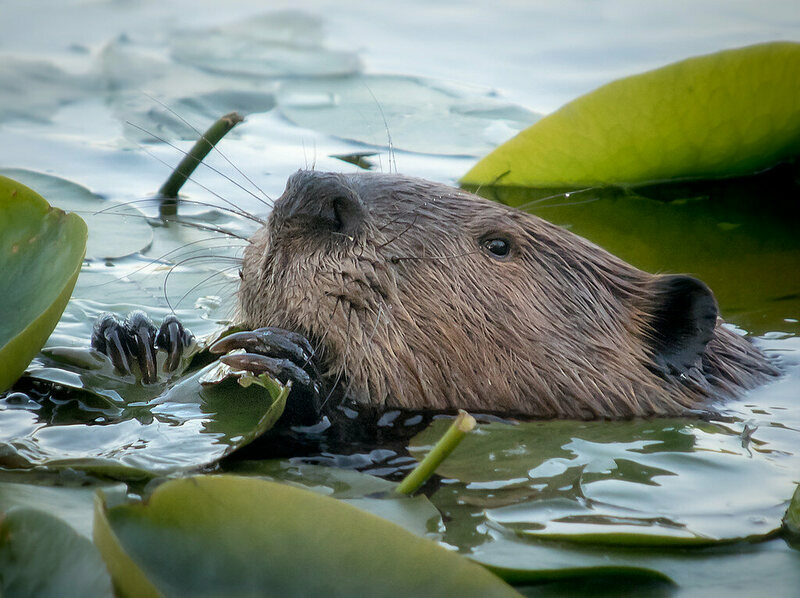 Scientists don’t know much about the long-term sustainability of beaver populations and the structures they build. Aerial photographs from decades past can give us an idea of their recent history, but can only take us so far back, and older records of beaver engineering are hard to come by. When ecologist Carol Johnston first saw Morgan’s map, she realized she had a unique opportunity to see how the Ishpeming area’s beavers fared as the railroad opened up their territory to human development. Johnston compared Morgan’s map to one she made herself last year using recent aerial photographs, and found evidence that some 75 percent of the dams and ponds that Morgan documented were still discernible. More than a dozen dams and ponds were still intact nearly 150 years later (if you’re keeping score at home, that makes them a little older than some feats of human engineering like the Eiffel Tower), and at least one pond was larger on Johnston’s map than Morgan’s, suggesting it had been built up and raised in the years in between. At other sites, the dams had been abandoned over time but the ponds, or the meadows and wetlands that they typically give way to, could still be seen. Only 18 sites from Morgan’s day were undetectable. Some may have just been obscured by newer forest growth, but others were clearly destroyed by human activity like mining, residential development and altering of stream paths. Even with those losses, Johnston says in her recent paper, the results suggest that beaver dams are “durable landscape features” that are used again and again over time (beavers will continuously occupy a pond for decades but abandon it when forage becomes depleted, then reclaim and repair it later), even in the face of intrusions by humans and changes to land use. “This constancy is evidence of the beaver’s resilience, and a reminder that beaver works have been altering the North American landscape for centuries,” Johnston writes. Morgan hit on that same idea during his research, and speculated that some of the beaver dams were quite old even when he first saw them. Other studies have suggested similarly long lifetimes for beaver dams. Radiocarbon dating of wood fragments from one dam in California suggests that it was first built around the year 580, was still in use and repaired around 1730 and finally abandoned for good sometime after 1850, over 1,200 years after it was erected. Who needs interesting physiognomy when you can build something that lasts like that?